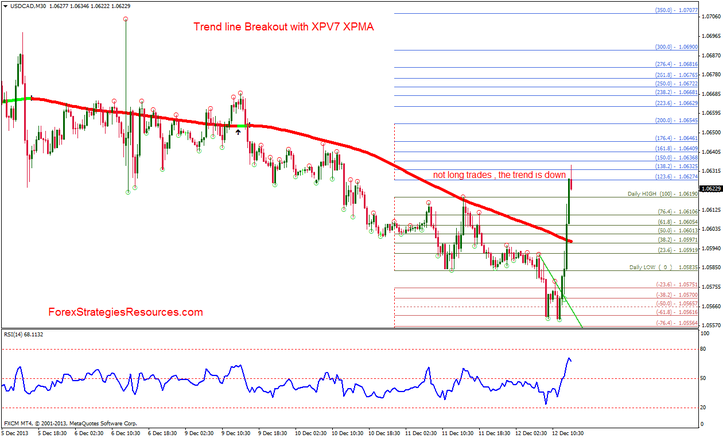 Trend line Breakout with XPV7 XPMA is an Intrady forex strategy price action based on Trend line indicator filtered by XPV7 XPMA indicator (written by by Xard777). Relative Strngth Index (RSI period 14). Trades only in direction of the trend indicator XPV7 XPMA (grren=uptrend red=down trend). Wait for the bar to close above the green trend line. Price has to be above the green XPV7 XPMA line. RSI (14) > 50 level optional. Wait for the bar to close below the red trend line. 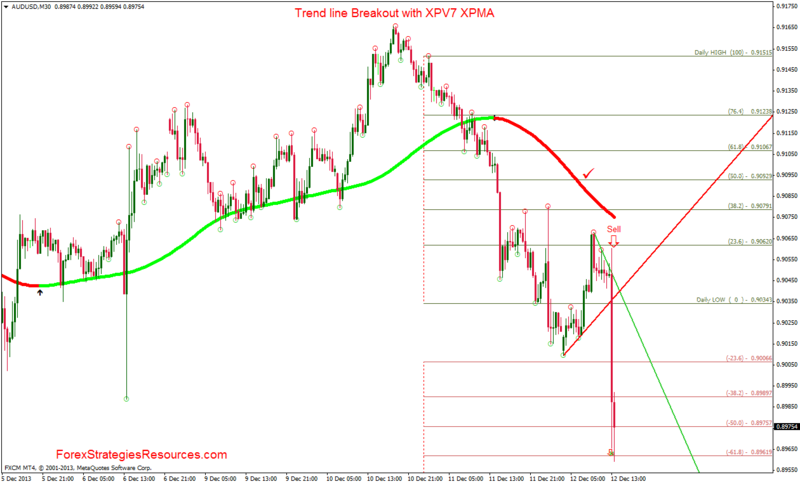 Price has to be below the red XPV7 XPMA line. RSI (14) < 50 level optional. Profit target ratio 1.3 stop loss or make profit on the levels of the spud fib indicator. Initial stop loss 5 pips above or below the entry bar.